These structures are not connected to the permanent foundations of a building and are typically not intended to be permanent installations, more often being used as a long-term temporary space solution. Modular Offices – Abtech, Inc.
Modular offices are used in areas such as in-plant offices or rooms within manufacturing facilities and warehouses, conference rooms, lunch or break rooms and shipping or receiving areas within a larger space. When used inside an existing larger space, the dimensions of the office need to be considered. For modular offices being used as separate buildings, size does not play such an important role. Modular offices as part of building systems tend to come in standard shapes and sizes. Modular offices can be made of a number of different materials. For example, those offices intended to be exterior add-ons can be constructed of a durable metal such as steel. For offices designed to separate interior space, the wall panels can be constructed of polyvinyl materials. Modular offices typical are made up of a base, a framing system and wall panels, which are adjusted according to location and need for sound proofing or insulation. The buildings provide quick and clean installation with minimum hassles. Choosing to use pre engineered buildings instead of a conventional building method for constructing office will provide numerous benefits. This is the most cost-effective solution to the need for space as conventional building design and construction can be expensive. 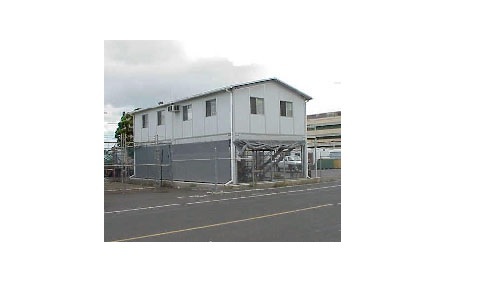 Permitting for modular buildings is often easier to obtain as they are not permanent structures. Prefabricated building is growing in popularity and this is in large part due to the factor of reduced construction time. A prefab shelter can be designed, fabricated and put into place in a matter of weeks. The costs of construction are cut as there is less labor and less material required, and as the buildings are fabricated prior to arrival on site, there is less room for mistakes to be made that need to be fixed. It is possible to have prefab buildings custom designed and built, however, the costs for meeting specifications may add a lot of money to the overall price of the operation. The modular office building may even include electrical and plumbing hookups, especially if it is intended as a more permanent installation than an office at a construction site for example. Modular Offices Modular offices are prefabricated structures that are used to divide and separate existing interior spaces, or as semi-permanent add-ons to a building or facility.